At the moment, Qualcomm uses Samsung as its partner to help turn its mobile chip designs into real life components. But a report out of Korea that was released today suggests that once Qualcomm is ready for the production of chips using the 7nm process, Samsung will be dropped in favor of TSMC. 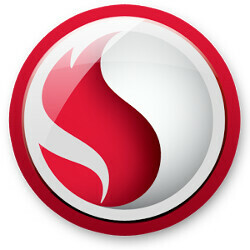 There is talk that ever since the second half of last year, Qualcomm has been designing 7nm Snapdragon chips using tools provided by TSMC. Qualcomm relied on Samsung's production expertise to produce the Snapdragon 820 and Snapdragon 821 chipsets using the 14nm process. This year's Snapdragon 835 chipset is built using Samsung's 10nm process. The lower the process numbers get, the higher the number of transistors that are found on a chip. That means we are seeing more powerful semiconductors built that require less energy to run at maximum power. You might wonder why Qualcomm is doing this? Perhaps TSMC is ahead of its rivals when it comes to the 7nm process. Right now though, Globalfoundries might be a step ahead. The latter skipped over 10nm in order to work on 7nm chips ahead of the others. With this lead over the other foundry operators, Globalfoundries is expected to deliver 7nm chips next year, for use in 2019 devices. If this report is true, Samsung not only has lost Qualcomm as a partner to TSMC, but it lost Apple to TSMC as well. Last month, the latter reportedly started its exclusive production on the Apple A11 chipset that will be used on the 2017 iPhone models. I agree. I look forward to the day more smartphones have the Exynos. The Exynos is more power efficient vs the SnapDragon. But the SnapDragon has a better and more powerful GPU. What I would like to see happen is, Samsung partners with the makers of the Power VR, and find a away to get SnapDragon GPU performance, but with the efficiency of the Mali. Power VR is crap for a GPU. http://kyokojap.myweb.hinet.net/gpu_gflops/ Look at the A10 is half the speed of a SD 820. Nevermind the latest SD 835. Non techie do think for one minute if PowerVR​ was any good, that Apple would dump them? Not for a NY minute. Except that the S8 with 3000 mah battery and 821 snapdragon still outlasts the U11 with the same capacity and snapdragon chip overall, hits similar browsing times (despite the downside of AMOLED for this specific task) and posts better standby times (less drain). So much for "poor optimization" . That is simply false. Samsung isnt gonna deprive QC customers what they paid for. Samsung makes the Exynos. And they tailor their software to work great with it, just like Apple does with IOS. Tbe SnapDragon is not their chip. They onky fab the chip. The software is optimized to work with both. But question, what OEM ks gonna allow someone else hardware exceed their own? Do you think woukd sell Apple a better diaplay vs what comes in their own device? @ Myphoneisonfire: That might be true(IDK about this year TBH) but TSMC still manufactures the best chips in terms of quality an efficiency. Remembering the Samsung vs TSMC Apple A9 debate. Good. Now maybe Samsung will drop QC and give us Exynos in the US. The problem with the Exynos in the US is network compatibility. The modem in the S6 had to work harder and thus causes extra battery drain do to incompatibility. But I would like to see the Exynos everywhere it can be! So, use a compatible modem on the SOC. They should get with the times and dump CDMA altogether. It wpuld require licening patents from Qualcomm likely. I mean Samsung likely cant make an option qithout Qualcomm tech inside. Not to mention that licensing CDMA patents from Qualcomm is more expensive than just using the Snapdragon SoC in the US... Samsung simply chose the cheaper alternative. I don't want the cheaper alternative, I wasn't the best one. Doesn't GlobalFoundries have a partnership with Samsung? So, GloFo's 7nm can be used by Samsung (via license ) if Samsung's 7nm isn't ready on time. All the Samsung fanboys here calling exynos better than Snapdragon, just accept the fact that Samsung poorly optimises Snapdragon processors in their phones. Always been the same. This year's S8/+(both exynos and Snapdragon) are being beaten by XZp, Mi6 in performance tests. They are getting higher scores, winning in speedtests while both versions of s8/+ are lagging behind. Infact leaked benchmark scores of Nokia 9 with s835 are so high, S8 is not even close. Same was the case last year where OP3T and OP3 comfortably beat S7/Edge in speedtests, benchmarks and overall performance. Exynos was always behind Snapdragon and always will be except for s810 debacle. What's wrong? Nobody but you up voted your first comment so you had to repeat yourself again? Oh my phone is better because speed tests said so... You can stick a 2 year old processor into a current flagship and the average buyer, who isn't a spec sheet dork, wouldn't even know the difference. It's going to come to how the buyer uses their and not some numbers on a piece of paper. My Axon Pro has the SD810 and when compared to my coworkers S8 and IPhone, it keeps up just fine with no heat problems to. Do you go around challenging people to see who can open an app faster? Once we really start using these phones as full fledged PC's (which we are close to now) all these comparisons to which chip opens up a app milliseconds faster or handles games well is moot at this point. All these modern smartphone chips are more than capable of handling our day to day tasks. Qualcomm probably will use Cortex-A75 based semi custom cores and ARM's new DynamIQ cluster design at their next gen flagship chip. A75 alone promises 34% single core performance improvement at Geekbench 4. Also it can squeeze extra 10% performance at 2W power consumption per core compare to usual 0.75W per core for mobile usage. When the system needs only a single core or dual core I think DynamIQ can utilize that extra performance. Also DynamIQ can provide extra power savings with its ability to setting voltages and frequencies independenty for each core unlike old school big.LITTLE dual clusters. It's more similar to Snapdragon 800/801's appreciated aSMP tech. With "based on ARM Cortex technology" they even might opt for much wider and slower design for even better single core performance with dual big cores this time around. Next gen Exynos flagship probably will be manufactured Samsung's second gen 10nm process. It will come with extra 10% perf and 15% less power consumption compare to current gen 10nm. But seems like TSMC 7nm approximately will have 10% perf and consumes 30% less power compare to second gen Samsung 10nm. Despite the advantage of better process, Mongoose full custom cores has not improved much performance wise in Exynos 8895. Unless they have a much better full custom CPU in tow they likely will switch over to either stock or semi custom ARM cores for to take advantage of A75 and DynamIQ both IMO. I wonder if this supplier change could be partially attributed to lost revenue due to Samsung having use of the SD835 exclusively at the beginning? If the chip was available, it seems likely LG would've used it in the G6 and Qualcomm would have been a recipient of licensing fees for each unit sold. Great! There wont be avaliability issues like with the sd835....still phones with sd835 are faster than the s8 with exynos.